Life in the Pitts: It's not quite long enough to braid. Yet. It's not quite long enough to braid. Yet. You know how sometimes, after a long winter, you grab that nail polish, look down at your toes and think WHAT THE CRAP KIND OF HAIRS ARE THOSE?? Because no matter how ladylike you are, toe hair happens. Labels: Well THAT was awkward, Worst present EVER, Yeah. I don't get it either. LOL I love you for admitting to hairy toes! 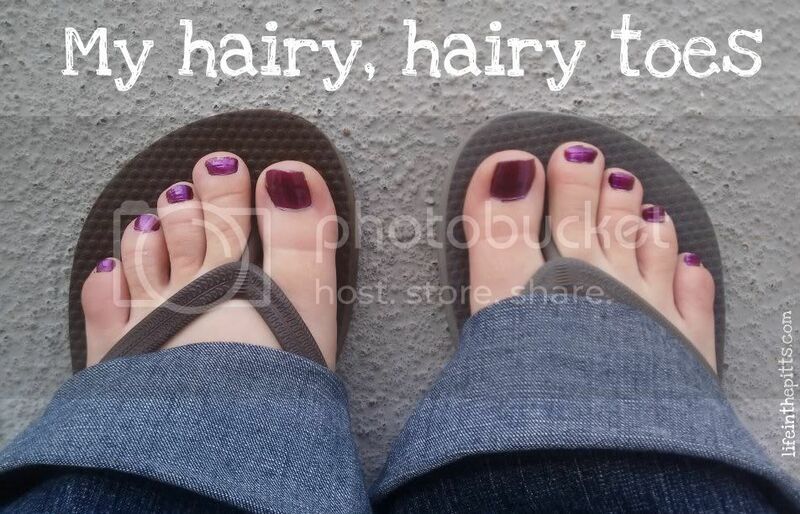 I have hairy toes too. Bodies are weird but your toes are soo cute! OK now I know I'm a complete slob - I've never shaved my toes! Glad you enjoyed my kangaroo story. Great to be connected. This is the joy of living in AZ. We get to see our toes, hair and all, the entire year. Thanks for stopping by my blog earlier and leaving a comment. I hope you have a great week! 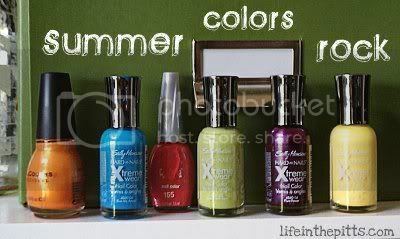 Love that shade on your toes.. am so looking for new colors in nail polish.. just haven't gotten around to buying them though. I am too distracted by that pretty nail polish color! I have very weird toes - the spacing between them is so wide, I can fit another set of toes between them.